A user friendly, cost effective system that allows employers total control over their Human Resource Administration process and offers a solution to discourage deviant employees from jumping from employer to employer within an industry. 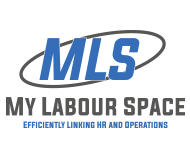 The online platform (www.mylabourspace.co.za) replaces the need for large complicated filing cabinets storing tons of paperwork, that are inevitably not kept up to date, and disappear at the most inopportune time. Now you will have all your employee information at your fingertips, with the simple click of a mouse!